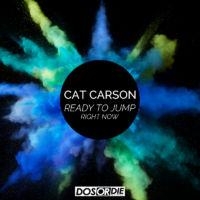 Now and only for a short period exclusively on Musicoin (blockchain streaming platform) the brand new release from Cat Carson “Ready To Jump (Right Now)” on DOS or Die Records. Powered by Volareo (first smart speaker interacting with blockchain streaming platforms). Go check it out. It´s for free and you support the artist directly! It´s a real #electro beast with a heavy pumping bassline destined to create some real dance floor damage! #1 ITUNES Electronic Charts & #24 DDC Charts (German dance charts). 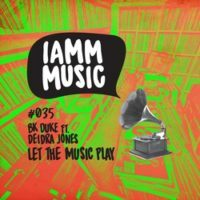 BK Duke returns with a remake of a dance classic from Shannon´s 80´s hit “Let The Music Play” on Amsterdam based label IAMM Music. Music Production, mixing and mastering by Electric Café Studio. Vocal recording by Johnny Phillips. Vocals by Deidra Jones. Falko Niestolik & Point Blvnk have released their follow up single on S2 Records/Sirup. Stem mixing and mastering by Electric Café Studio. Global cybersecurity company, Kaspersky Lab, and science festival, Starmus 2017, have investigated what safety sounds like to people. Top DJs from around the world transformed the findings into 10 tracks epitomizing the ‘Sound of Safety’. Engaging with sports stars, researchers and musicians – including chess superstar Sergey Karjakin and multiple Formula 1 drivers – the Sound of Safety project investigated which sounds our psyche associates with the feeling of safety. To turn these into music, Kaspersky Lab and international house music record label Diamondhouse hand-picked a line-up of 10 globally acclaimed music producers and DJs to remix a series of exclusive tracks epitomizing the ‘Sound of Safety’ in time for this year’s Starmus festival of science and arts in Trondheim, Norway. Stem mixing & mastering by Electric Café Studio. As a special Christmas gift for top sellers and clients, Kaspersky Lab decided to produce a 500 piece limited green colored Vinyl. Public Choice winner DJ Superjam can be seen presenting this gem in the picture. Vinyl mastering, editing and Vinyl production from Electric Café Studio. Warner/WePlay Music, Robin Schulz’s label, has released the new single of Falko Niestolik & Dubtal3nt “Someday”. Mixed and mastered by Electric Café Studio. Gold awarded dance act from the 90ies “Pharao” and the original former producer DJ Stevie Steve has decided to release a “best of” album. DJ Stevie Steve and Chris Sauer teamed up in the studio for a longer mastering session. All former hits from the 90ies were digitally remastered. The album is released on CD and online. Remix Production for Tera & Play N Skills feat. Amanda Wilson & Pitbull – Scared on Kontor Records for BK Duke & Russian producer Tisso. Music production, mixing and mastering by Electric Café Studio. 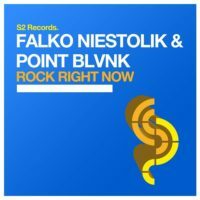 WePlay Music has released the new album of Falko Niestolik “Peaktime”. All tracks on the album were mixed and mastered by Electric Café Studio. 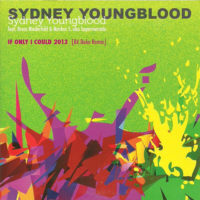 New remix & additional music production, mixing & mastering for the new single Sydney Youngblood “If Only I Could” by Electric Café Studio. 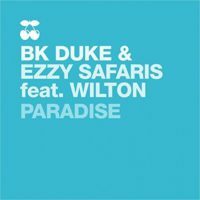 BK Duke “Paradise” & “Sunshine” Singles on PACHA Rec. His dancefloor anthems “Paradise” & “Sunshine”, signed on PACHA Recordings, are featured on worldwide top sellers cd-compilations like e.g. PACHA Summer, PACHA Brasil and many more. Also German leading TV station VIVA picked his track on VIVA Club Rotation. Music production, mixing and mastering by Electric Café Studio. The first common album from Falko Niestolik & BK Duke, showing their chillin´ side of music. They have produced 14 finest lounge tracks. The album was released by ZYX Music. Music production, mixing and mastering by Electric Café Studio. ZYX Music has released the new version of Falko Niestolik & BK Duke “Cuba”. 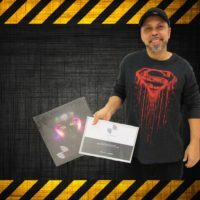 The track has so far reached numerous chart positions across several countries and has been added on more than 150 CD-compilations all around the globe. Music production, mixing and mastering by Electric Café Studio. 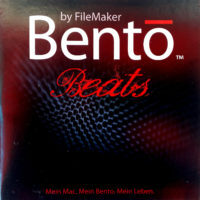 Filemaker, a division from Apple, decided for their new product “Bento”, to produce a CI title and a CD compilation for top clients as a giveaway. 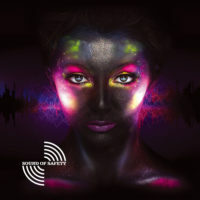 Music production, mixing & mastering main title “Bentobeat”, CD production by Electric Café Studio.